Sometimes we travel to show our creations, usually in craft markets or handmade fairs. Here you can find the next events where we will be present. It’s a nice way to come and meet us, to sample and touch what we do. For more information or to request us, feel free to contact us! 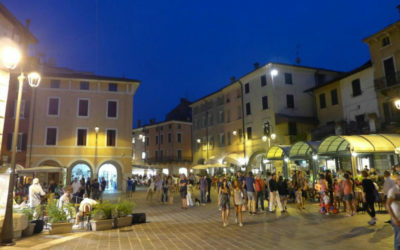 We will attend the market in Desenzano del Garda (BS – Italy) for the White Night. Come and find us!